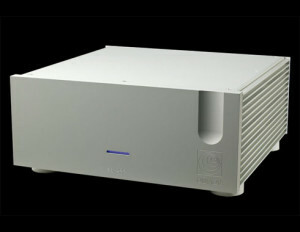 The Anniversary Series Bellini Pre-Amplifier and the Donizetti Power Amplifier are both new models from Audio Analogue. Designed in the Airtech Laboratories, they are part of the Anniversary line, re-proposing more historical products of Audio Analogue. The Bellini / Donizetti Anniversary set have been designed and manufactured with the highest production standards, based on refined architecture & the deployment of high quality electronic components. Both devices have been deprived of global feedback, which often introduces negative effects in the overall character of the sound. Thanks to the knowledge and experience of Italian engineers, Audio Analogue have managed to reconcile this solution with low distortions. Both the Pre-Amplifier and the Power Amplifier have a symmetrical structure, which not only reduces distortion, but also helps to cope with noise degrading the audio signal. The production takes place entirely in Italy. Both devices are be available in black or silver. – The shortest path from the record groove to your soul. Hidden within the grooves of vinyl records is information capable of transporting listeners into a wonderland of musical experiences. Mined properly, records have the ability to reproduce a natural sound truly faithful to the original recorded event. With the cartridge converting mechanical energy into electrical energy, the challenge becomes how to properly preserve and amplify the signal to get the sound off the record and into your soul. 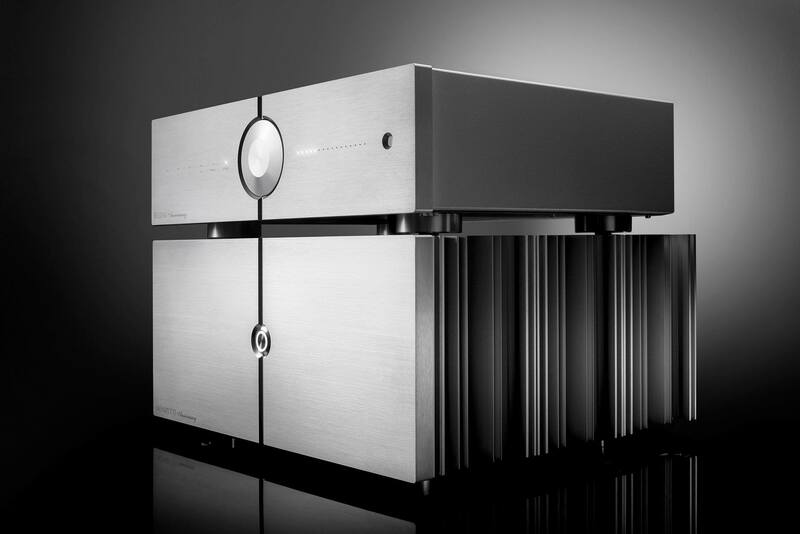 Three years ago, two of the most respected names in audio joined forces with the goal of building a state-of-the-art phono preamplifier to do just that. Not satisfied with the status quo, the goal was to design a phono stage leveraging their decades of experience but taking full advantage of the latest devices and materials. They say all good things take time and great things perhaps a little longer. Today we at MKoM are pleased to share the results of their effort by announcing the Audible Illusions PH-1 Phono Preamplifier – the shortest path from the record groove to your soul. Designed by legendary audio engineers John Curl and Carl Thompson, the PH-1 is undoubtedly destined for greatness. The PH-1 leverages a single-ended design philosophy with a circuit comprised of only the finest devices and components. It employs through-hole construction for maximum possible sound quality and reliability and a two-chassis design. The control and power supply units are housed independently which isolates noise and vibration from the delicate audio section. The two units are connected together via a specially designed, high performance shielded umbilical cable that is designed to prevent outside noise from affecting the audio signal. The PH-1 is a no-compromise dual-mono design with the left and right channels electrically and mechanically isolated from each other to allow true dual mono operation – resulting in definitive stereo separation and sonic purity. The circuits are wrapped in an enclosure that is functional and visually stunning. The PH-1 is capable of delivering a musical experience with a level of intellectual and emotional authenticity only bettered by the live musical event itself. Most would agree that it’s rare for an audio product to combine expert craftsmanship and stellar performance with high value. Yet like other components from Audible Illusions, the PH-1 preserves this tradition. Listen and we think you will agree that the PH-1 delights with its musicality and timeless design. Front Panel has separate MM and MC inputs; MC Cartridge loading of 50, 100, 500 Ohm and 47k Ohm. Optional User Adjustable Loading for MM and MC inputs. Record Out and Signal Out. – Circuit design is proprietary John Curl JFET construction. External power supply has four fully- regulated JFET power supplies. Main chassis has two fully-regulated power supplies. – All circuit boards are hand soldered with silver-bearing solder. Phono boards are gold plated. Circuit traces are OFC copper. – Precision-machined chassis built on a strong framework designed to dampen vibration. Face plate, control knobs, covers and Ssde panels are machined from military-grade aluminum. Screws are non-magnetic stainless steel. – Thick face plate has chamfered top & bottom edges with light-grey semi-gloss sand finish. Center of face plate brushed-clear anodized with black lettering. Audible Illusions logo engraved, gold filled. Control knobs have low-light back-lit illumination. RCA jacks are cryode-treated gold plated copper. – Heavy-duty detachable umbilical cord has military grade amphenol connector connects dual- independent power supplies. Heavy-duty IEC line cord included. – Completely handcrafted in USA. The road to VPS-100 took many turns in our long and extensive evaluation of topologies and materials, design and implementation. Passive RIAA equalization is preferred to active because in active RIAA equalization there is a feedback loop and the RIAA network is in this feedback loop. Usually RIAA equalizer circuits are implemented with capacitors and resistors (CR networks). Capacitors present the so called “dielectric absorption” -energy is stored in the dielectric material and is added to the signal with a small delay producing a ringing character in fundamental notes. This ringing behavior can be noticed in piano notes. In the past an alternative way of implementing a RIAA equalizer the LCR (Inductance-capacitance-resistance) circuit was proposed. A long time ago TANGO transformers from Japan used to produce such a circuit working in 600Ohms. A few manufacturers are using LCR based phono stages using variations of the original TANGO LCR circuit. The challenge in 600ohm LCR eq is to drive the network properly; having no more than 2 gain stages with enough overall gain and low enough output impedance. The best way of driving the LCR network is by using a transformer. We design and build ourselves the transformers using a special amorphous c-core material. Winding insulation is paper. A properly implemented LCR RIAA sounds much more natural, musical and open than CR networks with better defined macro and micro dynamics. The LCR networks most commonly used are based in double T filter networks. One T filter forms the 50-500Hz poles and the second T filter forms the 2123Hz pole. In the VPS-100 we took it one step further, the 2123Hz pole is formed by air core inductor with practically no stray capacitance at the first gain stage and the 50-500Hz poles are formed in high signal level directly at the output of the second gain stage. So this is a split RIAA design using two gain stages based on the SIEMENS C3g tube. These tubes are very reliable as they are specified for 10.000 hours. The power supply uses the 6CA4 tube rectifier and a choke filter .The heaters for the tubes are AC in the second stage and DC passive regulated for the first stage. The construction uses no printed circuit boards and is point to point silver wired using our own extruded and annealed to spec silver wire. Special attention is paid to mechanically de-couple the first gain stage and 2123 pole coils using a specially designed decoupling system. The rest of the construction is mounted on a aluminum sub chassis that forms together with the aluminum bottom plate a very rigid platform. It’s technology fascinates, it’s music inspires. The Simplicity is the fellow of the revolutionary Thales tonearm. Its geometry is based on a newly created T etragon solution previously developed in 1953, which reduces the tracking error to a maximum of 0.008°. We agree – this value is too small to be of any interest. But it might well be interesting that this tonearm uses the same bearing technology as the Thales tonearm. Six jewels and four sub-miniature ball bearings make sure that the friction and clearance are within our state-of-the-art tolerances. The intrinsic frequencies of the two tonearm tubes are carefully tuned up in harmonic proportions to even top the damping properties of any single-arm design. 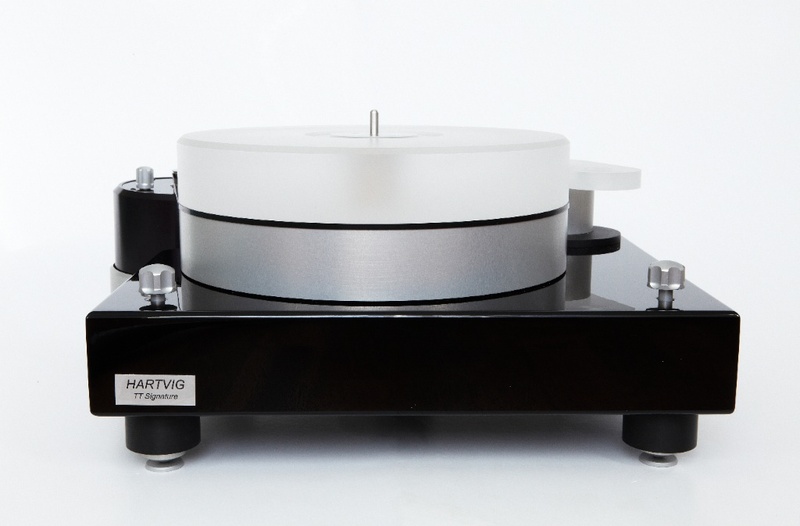 Hartvig Audio’s high end turntable is built with a passion for hi-fi and a dream of bringing recorded music alive in your own living room. The turntable is a handcrafted quality product with longevity, and it is timeless and pure styled in its design.The TT Signature ensures an incredible reproduction of sound and distinguishes itself from the digital media, as the analog sound is both smooth and reproduces the music down to the last detail.